Published on Apr 28, 2014 In the latest RSA Short, bestselling author Dan Pink shows us how to influence others more effectively; it's as simple as A-B-C. Whether we're employees pitching to our bosses, parents and teachers cajoling kids, or politicians presenting new policies, we can all improve the way we persuade others. CALL FOR DANCERS AND CREW. 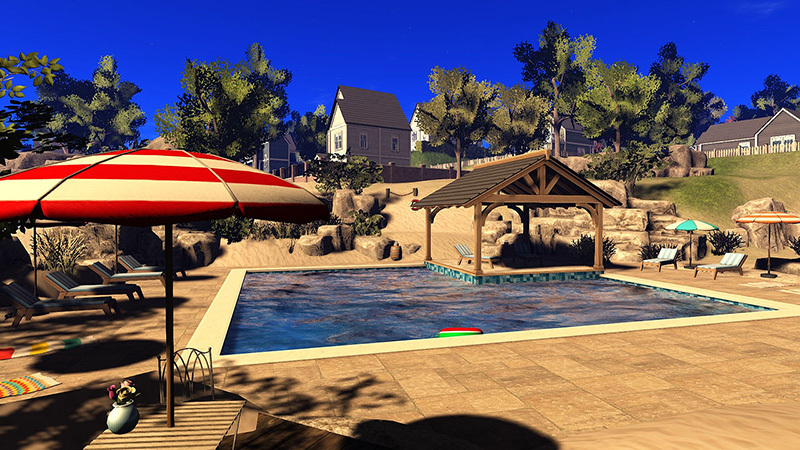 Sunday, August 31 at 5:00 pm SLT. Wednesday, September 3 at 5:00 pm SLT. "Let´s show the world how perfect can a big city become..."
In Kitely paste this hop in the address bar of Firestorm, enter. "Our purpose is to provide an environment for children and adults with facilities to aid in gaining the social skills needed to enjoy a full, successful life with the neurotypicals. We welcome everyone, but have an emphasis on helping aspies (asperger syndrome) and those on the autism spectrum." 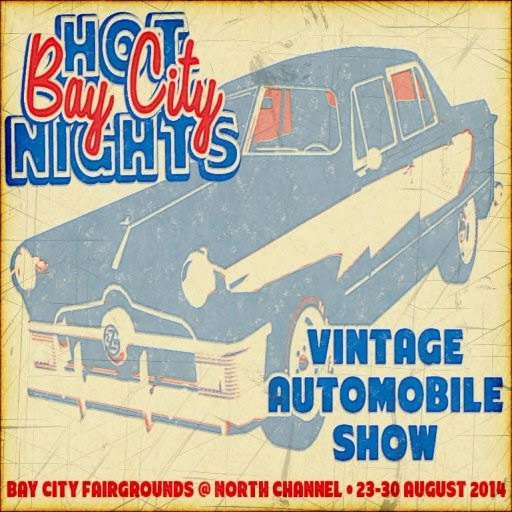 "Hot Bay City Nights" celebrates Bay City's mid-century theme as well as its large network of roads. The event will showcase vehicle makers who create automobiles from the Bay City "theme era," stretching from 1940 to 1965. Established vintage automobile designers in the Bay City Fairgrounds, in the North Channel region, from August 23-30 to present the best in vintage and retro vehicles for all Second Life™ avatars. I have a Silver Sponsorsip on OpenSimulator Community Conference 2014. I get a large display booth in the Expo Region roughly corresponding to a single region, minus areas reserved for a conference landing zone and common sidewalk areas. 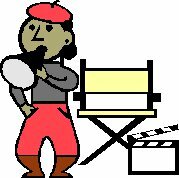 I am looking for content about the things I might cover in my blog. 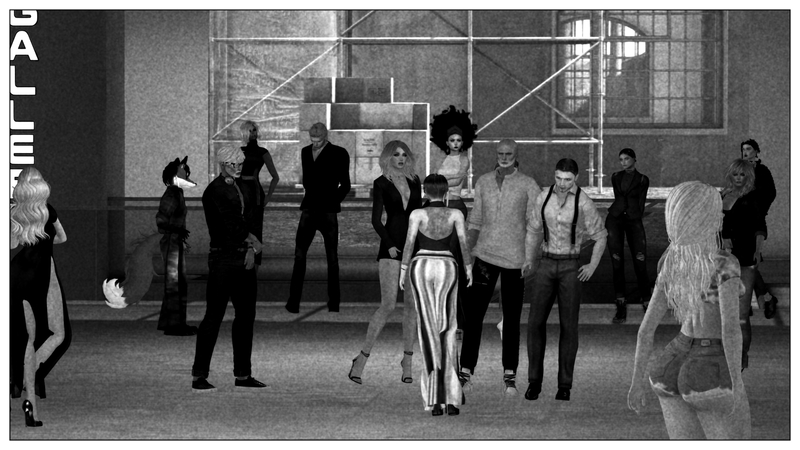 Beginer's building on the Hypergrid, Part 2. Primland, the building tutorial game. 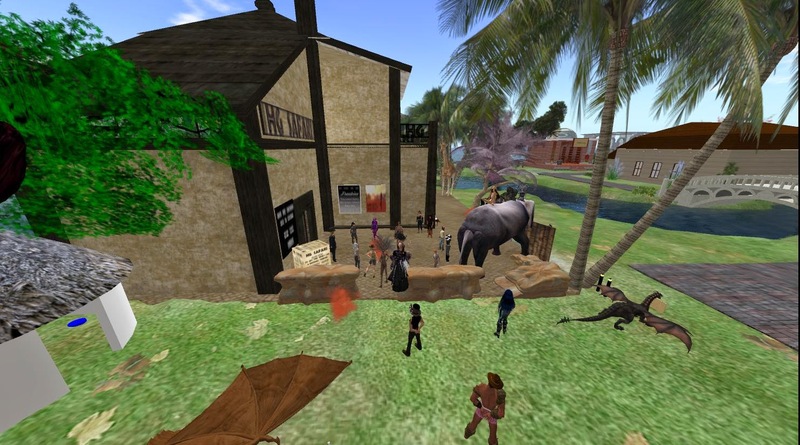 Get started in Opensim: Stage 2B(uilding). 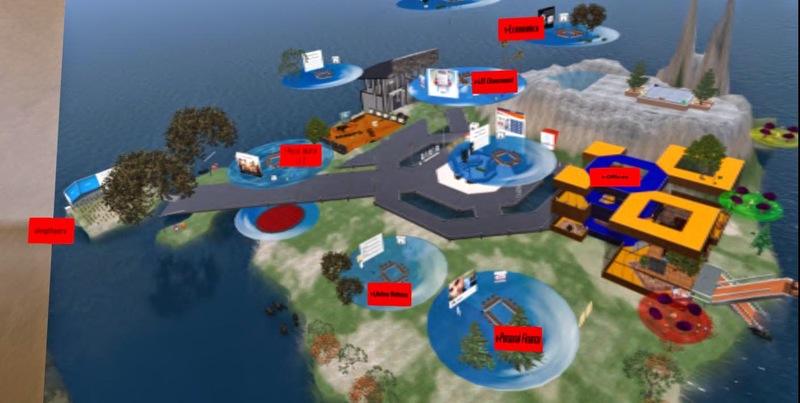 Sample of gamification in instructing/onboarding in Opensim. Fly: Press and hold page up. Zoom and roam the camera: Press and hold Alt, press and hold left mouse key, move mouse or scroll wheel. 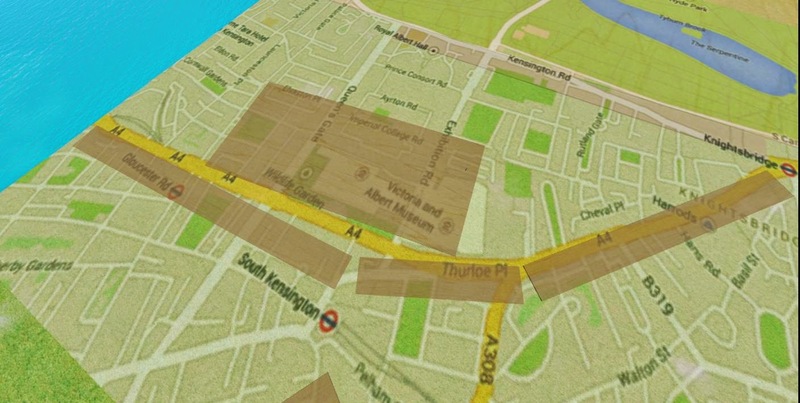 Go to an address on the Hypergrid (see below). 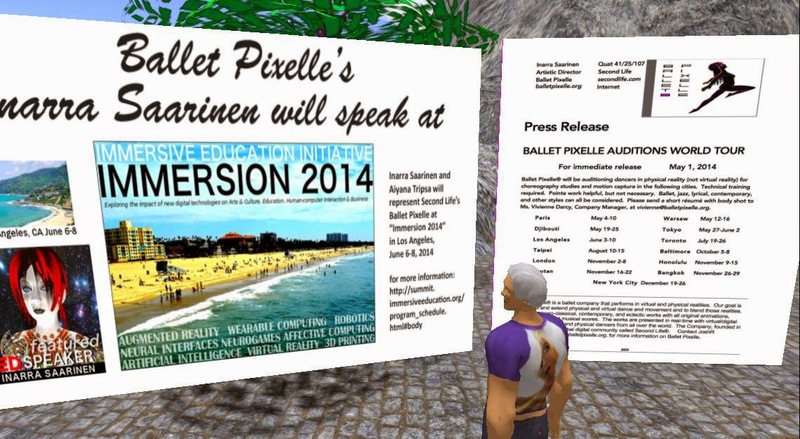 2014 EDU: OPENSIM: MNPS Virtual School: What is real and what is virtual? MNPS Virtual School: What is real and what is virtual? Metropolitan Nashville Public Schools (MNPS) offers students the opportunity to take one or more online high school v-courses while enrolled at their zoned schools or to enroll on a full-time basis with Virtual School and earn their high school diploma completely online. So they ready the learner for work. New Media Arts in Kitely: Get notices of events, meetings, projects. 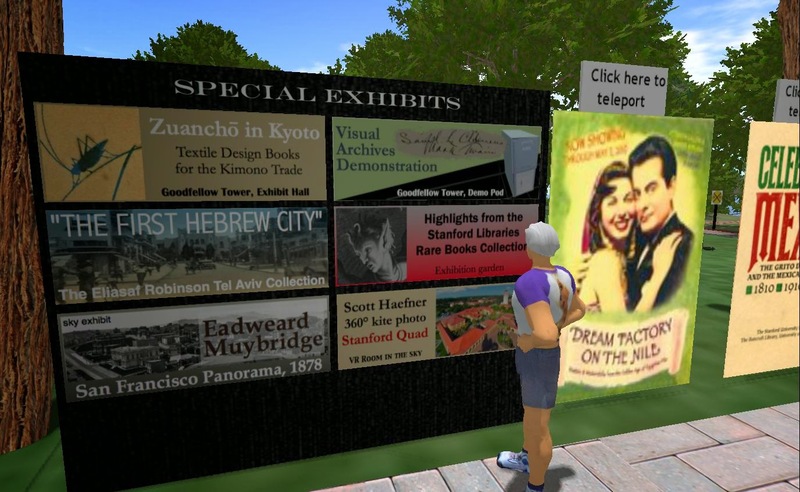 To join the inworld Kitely group, search in groups for New Media Arts. Open the profile page, click on the Join button. There is no cost to join. If you are visiting via the Hypergrid, you should be able to join the group when you are on Kitely. You may get group notices on the Hypergrid (we hope). and will animate the clone with an animation in the maker's contents. The NPC Maker uses the function: osNpcCreate. This function is marked as high threat and appears to have some undocumented limitations on who can use it in a particular sim. It seems that use is limited to the sim owner and some others with high level authority in the owning group or in the sim. 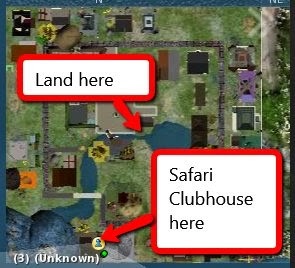 On Hypergrid, paste the line below into the find bar of the world map, click Find, click Teleport when it lights up. "Second Life helped me discover what I am good at and what I would like to pursue" says 23-year old Edi Clarity, who runs a successful interior design magazine in the digital universe: "I am not a creator, but I create spaces that hopefully inspire people!" Edi also met his husband, who hails from Chicago, in SL in 2009 and the two have been together ever since. The power and agency over identity and the possibility to reveal the true self at one's own pace contributed - according to Edi - to a stable relationship that has been lasting this many years. Adds Edi: "SL taught be that I can be who I really am, no matter what!" No doubt, that he [and Rico] can be proud of who they are, in-world or in physical reality. The Journal of Virtual Studies currently has a call for papers open. The journal is peer reviewed and focuses on the use of virtual spaces for knowledge immersion. 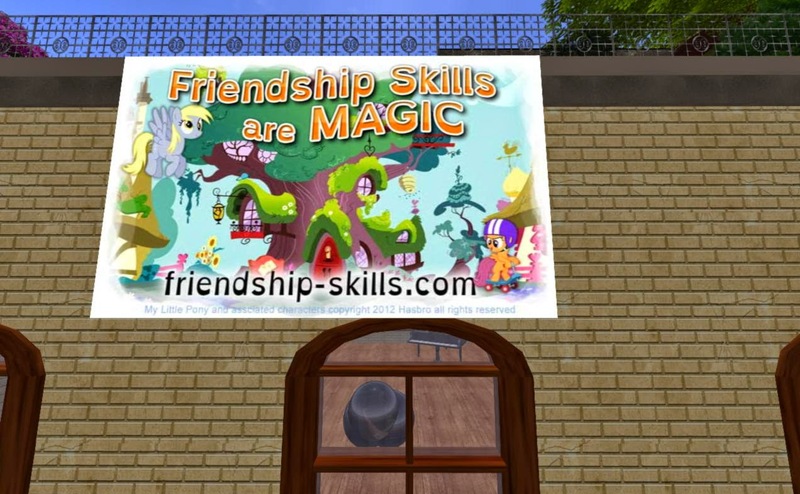 Do you work or research in Second Life, OpenSim or any other virtual platform? Have you been engaged in research, exploration or reflection when using MMPORG’s? 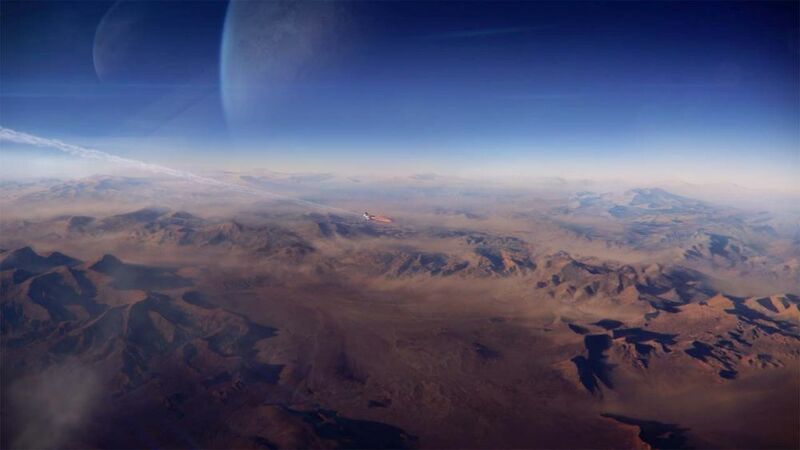 Have you discovered a virtual space with knowledge immersion possibilities or have you engaged in a fascinating new way to explore the virtual through any number of immersive online applications? RezMela in Kitely: Simulations for disaster response training, and contests! The theme is 'TRANSCENDING BORDERS.' Artists & filmmakers can interpret the theme as they see fit. 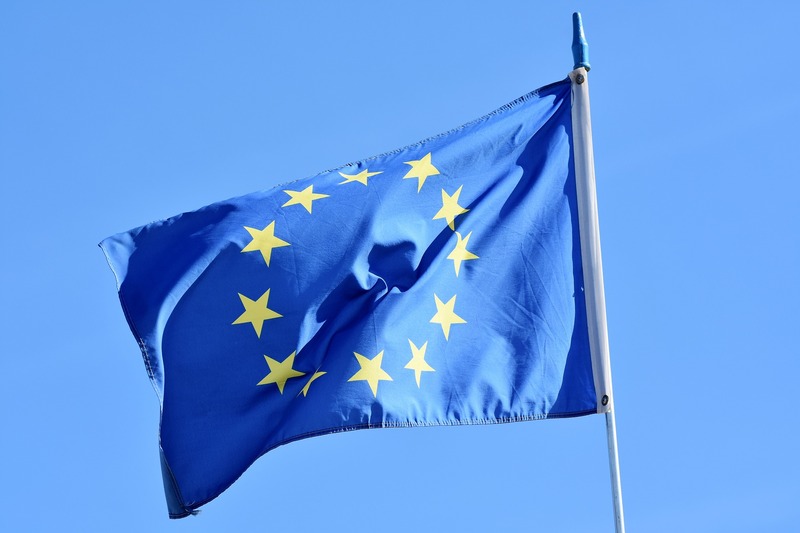 Whether transcending borders between time and space, past and present, one nation and another, one language and another, a culture or civilisation or any other of the innumerable borders that present themselves as we navigate our lives. You the artist... You the machinimatographer...You decide. 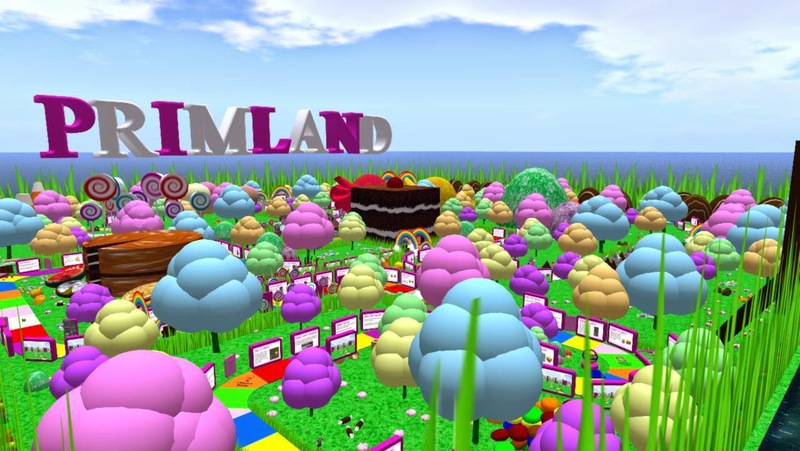 Second Life TOS (probably) relinquishes its claims on your creations. Finally! When you have a spare 5 minutes, try a brain sprint. Develop your upper brain flexibility. Maybe you will want to try them. Maybe you will want your friends to try them and tell you whether they work. Maybe you will challenge your friends to a brain sprint. You may not want your competitors to know about them. Pinwheel tilings are non-periodic tilings defined by Charles Radin and based on a construction due to John Conway. They are the first known non-periodic tilings to each have the property that their tiles appear in infinitely many orientations. 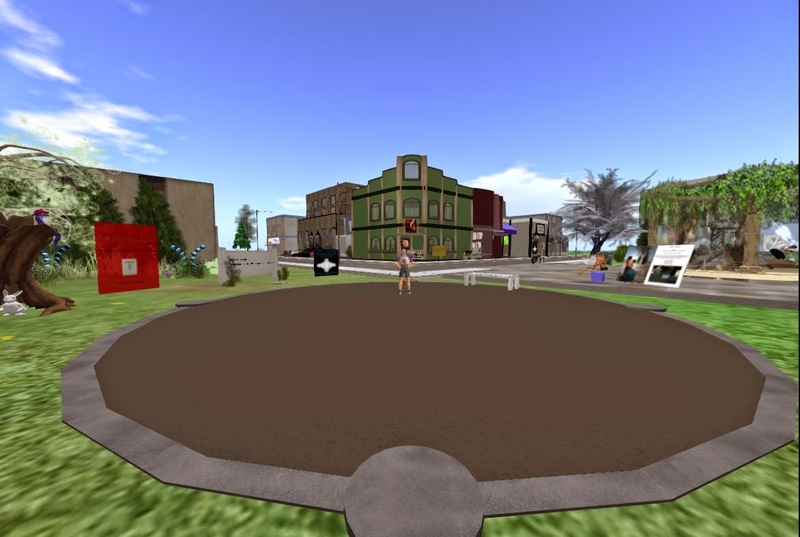 "I like to drop in and meet with a lot of different groups, trying to do it as often as possible to learn more about the communities in Second Life and the use cases of Second Life".-- EbbeAltberg at Non-Profit Consortium meeting. "give the creators the tools to attract and retain users to their experiences is a little bit of how we think about it." --EbbeAltberg at Non-Profit Consortium meeting. Executive Summary: What could Linden Lab do to "give the creators the tools to attract and retain users..."
Establish liaison with each large community. Get advice from the community on what is needed to improve the community experience. Get advice from the community on how to market the community experience to the outworld. Work with the community to develop an effective community onboarding experience. Plan cooperative marketing efforts with the community. Voice centered shooting plan, not what you expect. AMP (Avatar Media Productions) has developed this plan to produce the best audio quality and the best video presentation of avatar lip movements combined with facial expression. Author and futurist Tamar Kasriel shows how resilient companies plan and make decisions, and reveals how individuals can exploit these techniques to create a better future for themselves. 2015 PROMO: HELP: VIDEO: What can you do with Browser on Prim (BOP)? What can you do with Browser on Prim (BOP)? 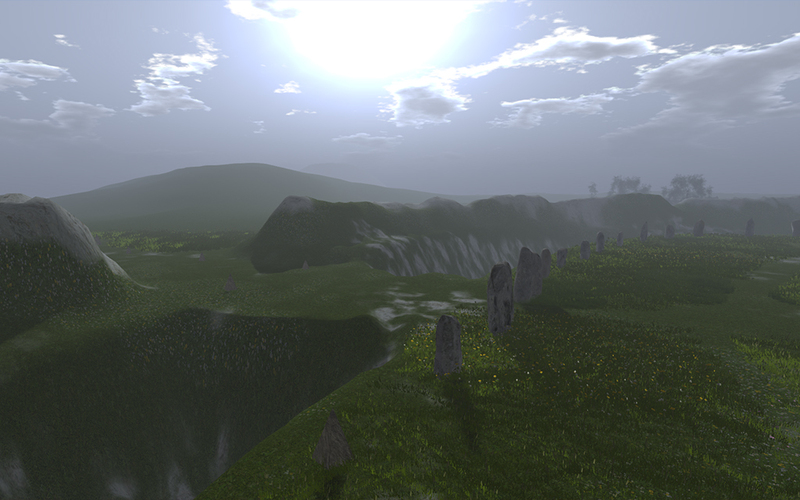 Show a Twitter stream inworld. This post is used to create a web poster that displays the current Twitter search for Tweets by @MariaKorolov. The web poster will available on Cookie II in Kitely in a day or so after publication. What if you really could change the world? Jody Williams, Nobel Peace Prize winner, firmly believes that each and every one of us can and should contribute to creating a better world. In this empowering RSA Short Jody explains why it is so important that we strive to make a difference. 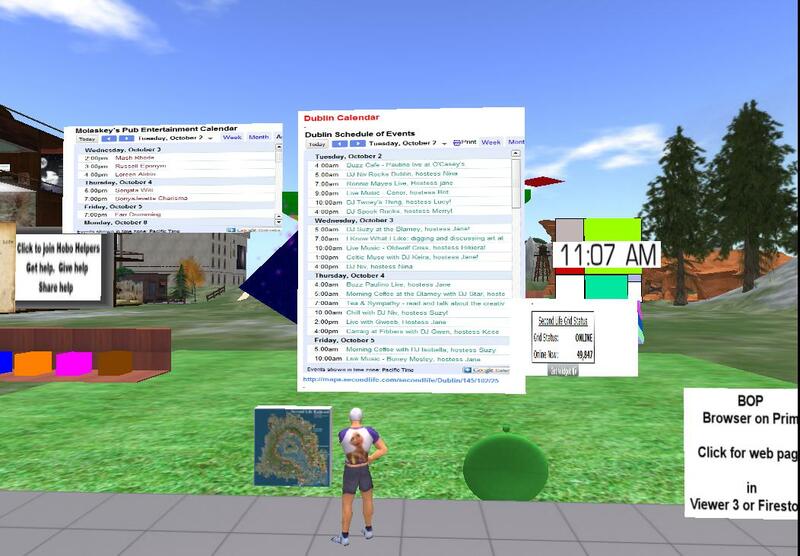 This post is being used to create a published events calendar combining grid-wide calendars for Hypergrid-enabled grids. I will make a Browser-on-Prim (BOP) poster to display the calendar. 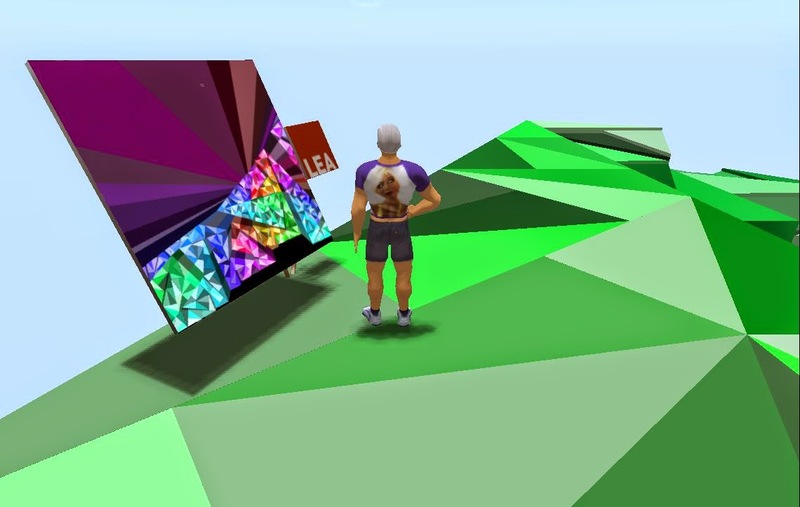 That object (free to copy) will be available near the center of Cookie II in Kitely a day or so after this publication. If you have a Kitely account, you can find Cookie II here. In a recent post,The calendars of the Hypergrid, I suggested combing Google calendars maintained by grids on the Hypergrid. Since we can easily move from one grid to another, we need to know what is happening in any of the grids we can visit. And grid owners need to tell the public what is happening on their grids. A combined event calendar will offer more choices and thus attract more viewers. If the combined calendar becomes crowded, we can break up the listing into communities, such as writing and education.